Encounters between Christians and Jehovah's Witnesses typically revolve around a discussion of deity. The reason for this is twofold. First, this is the area where Watchtower theology deviates most dramatically from orthodox Christianity. In contrast to the Trinitarian concept of one God in three Persons--Father, Son, and Holy Spirit--the JWs have been taught to believe that God the Father alone is "Jehovah," the only true God; that Jesus Christ is Michael the archangel, the first angelic being created by God; and that the Holy Spirit is neither God nor a person, but rather Gods impersonal "active force." Second, the subject of deity is a frequent confrontational focus because both Jehovah's Witnesses and Christians (at least those who like to witness to JWs) feel confident and well-prepared to defend their stand and attack the opposing viewpoint. Due to the profound theological differences, such discussions often take the form of spiritual trench warfare--a long series of arguments and counterarguments, getting nowhere and ending in mutual frustration. But this need not be the case, especially if the Christian will "become all things to all men" by taking a moment to put himself in the Witnesses' shoes, so to speak (see 1 Corinthians 9:22). In the JWs mind he himself is a worshiper of the true God of the Bible, while you are a lost soul who has been misled by the devil into worshiping a pagan three-headed deity. He is, no doubt, quite sincere in these beliefs and feels both threatened and offended by the doctrine of the Trinity. To give any serious consideration to your arguments in support of the Trinity is simply unthinkable to the JW; he would be sinning against Jehovah God to entertain such a thought. So, in order to make any headway with the Witness, it is necessary to bridge the gap--to find common ground that will enable him to rethink his theology. Rather than plunging into a defense of "the doctrine of the Trinity," which can be mind-boggling even to a Christian, take things one step at a time. A good first step would be to consider the question, "Is Jesus Christ really an angel?" It will be frightening to the Jehovah's Witness to open this cherished belief of his to critical re-examination, but no nearly as frightening as to start off discussing evidence that God is triune. Since the Watchtower Society speaks of "Jesus Christ, whom we understand from the Scriptures to be Michael the archangel" (The Watchtower, February 15, 1979, p. 31), put the JW on the spot and ask him to show you "the Scriptures" that say Jesus is Michael. There are none. The Watchtower Society New World Translation (NWT) mentions Michael five times as: 1) "one of the foremost princes" (Dan. 10:13); 2) "the prince of [Daniels] people" (Dan. 10:21); 3) "the great prince who is standing in behalf of the sons of [Daniels] people" (Dan. 12:1); 4) "the archangel" who "had a difference with the devil and was disputing about Moses body" but "did not dare to bring a judgment against him in abusive terms" (Jude 9); and 5) a participant in heavenly conflict when "Michael and his angels battled with the dragon" (Rev. 12:7). Ask the Jehovahs Witness which one of these verses says that Michael is Jesus Christ. Help him to see that it is necessary to read Scripture plus a complicated Watchtower argument to reach that conclusion. 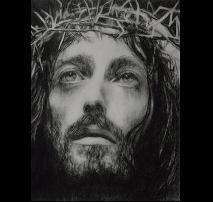 Rather than being merely "one of the foremost princes," Jesus Christ is "Lord of lords and King of kings" (Rev. 17:14, NWT) and is "far above every government and authority and power and lordship and every name named, not only in this system of things, but also in that to come" (Ephesians 1:21, NWT). And, unlike "Michael who did not dare condemn the Devil with insulting words, but said, The Lord rebuke you!" (Jude 9, Todays English Version), Jesus Christ displayed His authority over the devil when He freely commanded him, "Go away, Satan!" (Matthew 4:10, NWT). In arguing that Jesus is Michael the archangel, the Watchtower Society also points to another verse that does not use the name Michael but says that "the Lord himself will descend from heaven with a commanding call, with an archangels voice and with Gods trumpet..." (1 Thessalonians 4:16, NWT). However, the expression "with an archangels voice" simply means that the archangel, like Gods trumpet, will herald the coming of the Lord, not that the Lord is an archangel. Point out to the JW that none of the verses he has attempted to use as proof-texts even comes close to stating that Jesus Christ is Michael the archangel. In fact, Scripture clearly teaches the opposite: namely, that the Son of God is superior to the angels. The entire first chapter of Hebrews is devoted to this theme. Have the Witness read Hebrews chapter one aloud with you, and, as you do so, interrupt to point out the sharp contrast between angels and the Son of God. "For to what angel did God ever say, Thou are my Son...? And again, when he brings the first-born into the world, he says, Let all Gods angels worship him" (vv. 5,6, Revised Standard Version). Remind the JW that angels consistently refuse worship ("Be careful! Do not do that! ...Worship God," Revelation 22:8,9, NWT), but the Father's command concerning the Son is, "Let all Gods angels worship him" (Hebrews 1:6). That is how the Watchtower's own New World Translation read for some 20 years until, in 1970, the Society changed it to read "do obeisance to him" instead of "worship him"--part of their consistent campaign to eliminate from their Bible all references to the deity of Christ. True, you have not yet proved the "doctrine of the Trinity" in this discussion. But you have laid a good foundation by giving the Jehovah's Witness convincing evidence that Jesus Christ is not an angel (he is now faced with the question of who Jesus really is), and you have shown that the Watchtower Society has misled him, even resorting to altering Scripture to do so. Now you are in a much better position to go on to present the gospel. Author: David A. Reed, Ex-Jehovah's Witness elder. Excerpted from The Evidence Bible. I was raised as a Jehovah's Witness and remained one until age 11. Coming out of this cult, I entered my teenage years as a bitter atheist where I remained until I graduated from college. Through Gods amazing grace I was saved in 1994 after reading the Bible and realizing that it was indeed the true Word of God. 2) A polite "no thanks, I'm already a Christian" followed by an all too abrupt closing of the door. For the mature Christian, what's usually missing is the realization that this is a true witnessing opportunity--one that has arrived right at your doorstep. In my earliest attempts at grabbing the proverbial bull by the horns, I tried engaging them in direct debates, often quoting from several texts I had studied regarding the cultic practices of the Jehovah's Witnesses. After several failed "conversion" attempts, often ending with thoroughly frustrated Jehovah's Witnesses unwilling to ever return to my residence, I arrived at a startling realization: Jehovah's Witnesses are real people, with real needs and real feelings. They can feel frustration, anger, fear, and confusion. I then realized that the reason my frontal assaults on the Jehovah's Witnesses never seemed to work was because I had not put myself in their place and taken their feelings into account. A wise man once said, "When you want to get someone's attention, you don't shine a flashlight in their eyes." In presenting my arguments and facts without giving them time to prepare, I had forgotten that they were human beings searching for the truth. I had not been speaking this truth in love. Months later, when I was again presented with an opportunity to speak with Jehovah's Witnesses at my door, I engaged them in conversation, and agreed to do a weekly Bible study with them in order to further discuss what exactly they believed. They agreed, with the understanding that along the way I would ask questions whenever we arrived at a topic or subject with which I disagreed or failed to understand. The amazing difference was that instead of blindsiding them with questions and points of contention, I was giving them an opportunity to prepare themselves for a topic of discussion. More importantly, though, I began to care about them personally and yearn for their salvation. In this way, I am able to meet with Witnesses on a weekly basis and take them off the streets, focusing on critical topics such as the requirement that one be born again to enter the kingdom of God, the unbiblical theology of a two-class system of believers, and the true identity of Jesus Christ. Author: Clint DeBoer. Excerpted from The Evidence Bible.